Did you know that Beale Street Caravan is the most widely distributed radio program featuring Memphis music? Every week is reaches 2.4 million listeners on more than 400 stations around the globe. This month marks the sixteenth year of its broadcast, and we’re celebrating that very sweet birthday this week! 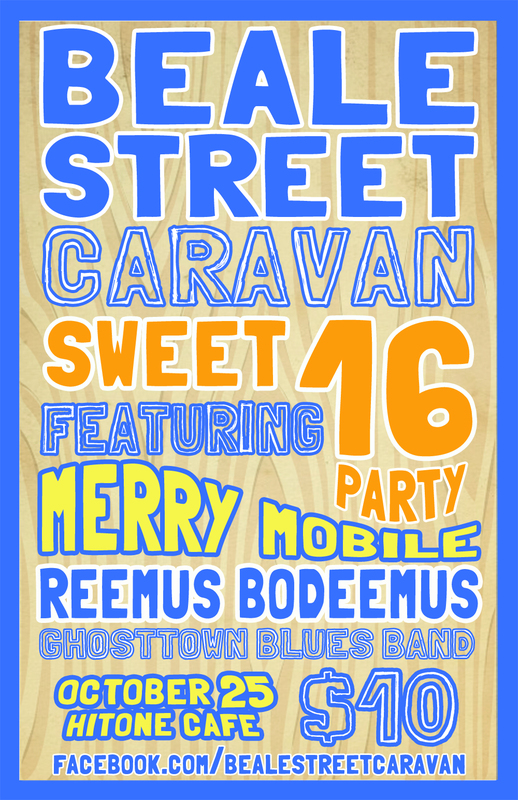 Come celebrate the Beale Street Caravan Sweet 16 with a concert at the HiTone on October 25. The show will include performances from GhostTown Blues Band, The Merry Mobile, and Reemus Bodeemus. They’ll be playing their original tunes plus blues covers and blues-inspired songs. Doors open at 8 p.m. and cover is $10. We hope to see you there!